I despise those movies which cleverly leave clues littered through the movie, only to come together at the end because of the viewer wasn't observant. Leaves of Grass is one of those movies but I definitely did not despise it because I'm the one that failed to collect these clues as I was enjoying this whacky film too much. This film by Time Blake Nelson (The Grey Zone/Syriana) successfully melds drama, comedy and crime in a strange movie that links mainstream university with marijuana cultivation in Oklahoma and even a small Jewish community in Tulsa as identical twins attempt to find and philosophise happiness. 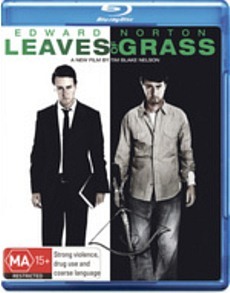 In Leaves of Grass, Edward Norton plays twin brothers Brady and Bill Kincaid, although identical in appearance, both brothers are opposites in their personalities and philosophies or you initially believe at the start of the film. Bill, born minutes before Brady has desperately tried to remove himself from his humble and backwater beginnings in Oklahoma. Without seeing his brother of his mother Daisy (Susan Sarandon) for several years, he has made his mark as a successful professor in university in the world of the philosophy. Unfortunately Bill is forced to return home when he learns that his brother was murdered by a crossbow in a drug deal. However when Bill returns to his rural town in Oklahoma, thanks to Brady's close friend Bolger (Tim Blake Nelson), he discovers that this was all an elaborate ruse by his brother in order to draw him back. 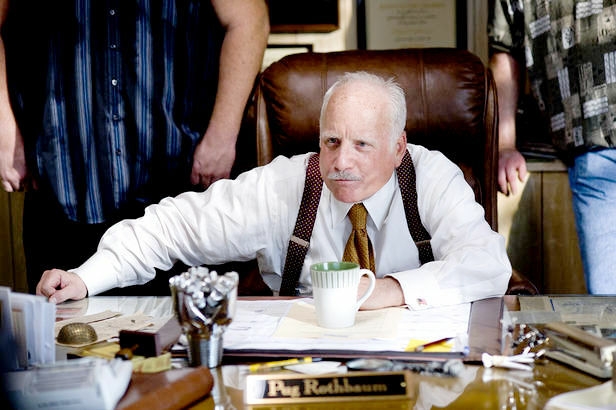 As Brady owes a considerable amount of money for his state of the art hydroponics setup to Pug Rothbaum (Richard Dreyfuss), a powerful and influential member of the Jewish Community in Tulsa, he hopes to set things right by using his brother as a stand-in for himself while he goes to take care of business. Like other Time Blake Nelson films, you really don't know what to expect but even though the story is a roller coaster ride of comedy, emotions and thrills, it somehow comes together quite well in this dark comedy about two brilliant brothers who have made their own paths in this broken world. The star of the movie is Norton as the brothers and also Nelson as Brady's best friend and partner in crime Bolger. These two actors just bounce off each other with some great enthusiasm. 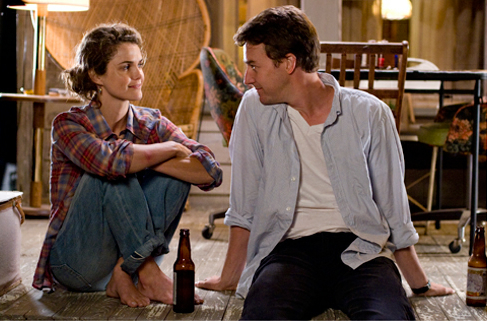 My only drawback to the movie is the lack of a strong role for Keri Russell from Felicity Fame who plays Janet, the poet love interest of Bill. Her role seems to take a back seat like Sarandon as their mother which is a shame. Nonetheless, this Leaves of Grass is a must see movie, even though Richard Dreyfus plays another clichéd and villainous role. Roadshow continue to release some high calibre Blu-ray releases and Leaves of Grass boasts some exceptional video quality. With sharp images, vibrant colours and no artifacting whatsoever, Leaves of Grass looks amazing on Blu-ray, thanks to 1080p. The audio supports DTS-HD 5.1 which boasts exceptionally clear audio. Finally, Leaves of Grass continues an interesting "making of" that goes into the creation of the movie, including some of the politics and philosophies which were so dominant in the movie. Even if you're not an Edward Norton or Time Blake Nelson fan, you will still thoroughly enjoy this witty and clever movie that almost plays out like a Greek Tragedy. Recommended!